OSLO, Norway - Karoline Olsen was crowned Miss World Norway 2012 at the Emil and Samuel Club in Oslo on June 29. She will represent Norway in Miss World 2012 in Ordos, Inner Mongolia, People's Republic of China on August 18. SKOPJE, Former Yugoslav Republic of Macedonia - Aneta Stojkoska (20, Gostivar) was crowned Miss Macedonia 2012 at the Restaurant Jana in Skopje on June 28. She will represent the Former Yugoslav Republic of Macedonia in Miss World 2012 in Ordos, Inner Mongolia, People's Republic of China on August 18. Sofija Musu was the first runner-up and Simona Stankovska was the second runner-up. 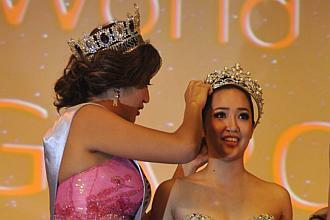 SINGAPORE, Singapore - Karisa Sukamto (18, 1.60m, Singapore) was crowned Miss Singapore World 2012 at the Orchid Country Club in Singapore on June 27. She will represent Singapore in Miss World 2012 in Ordos, Inner Mongolia, People's Republic of China on August 18. Michelle Koh and Sarah Noble finished second and third, respectively. 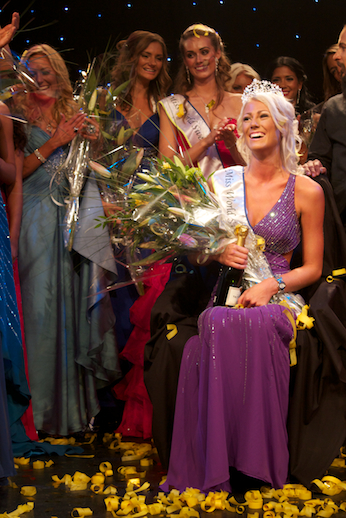 GÄVLE, Sweden - Sanna Jinnedal (19, Borås) was crowned Miss World Sweden 2012 at the Spegeln Cinema in Gävle on June 28. She will represent Sweden in Miss World 2012 in Ordos, Inner Mongolia, People's Republic of China on August 18. 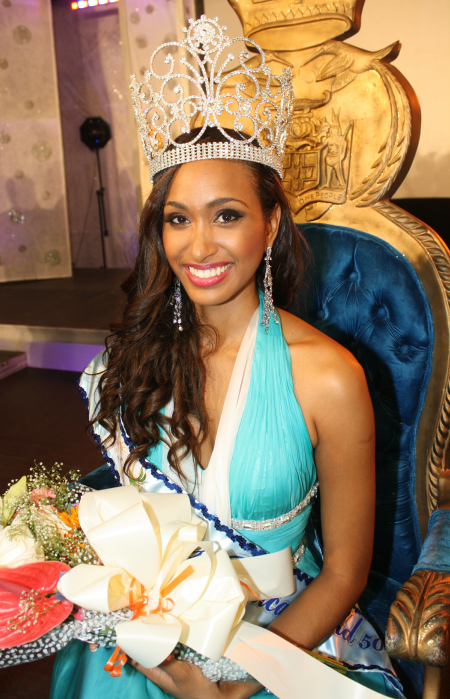 Remona Moodley (23, 1.70m, Cape Town) was appointed to represent South Africa in Miss World 2012 in Ordos, Inner Mongolia, People's Republic of China on August 18. She is the first runner-up of Miss South Africa 2011, Melinda Bam. Vũ Thị Hoàng My (24, 1.71m) was appointed to represent Vietnam in Miss World 2012 in Ordos, Inner Mongolia, People's Republic of China on August 18. Special thanks to Donald Nguyen from Mundial Beauties! SANTIAGO, Chile - Camila Recabarren (21) was crowned Miss Chile 2012 at the Canal 13 studios in Santiago on June 26. She will represent Chile in Miss World 2012 in Ordos, Inner Mongolia, People's Republic of China on August 18. 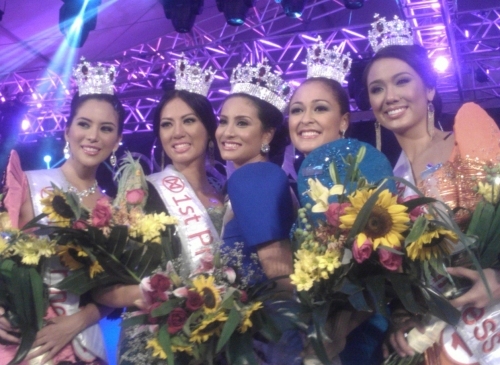 Jill Berguenfreid was the first runner-up and Contanza Leiton was the second runner-up. This year the Miss Chile pageant featured a docu-reality show called No Basta Con Ser Bella which became a popular show in the country with high viewerships. The national finals and the docu-reality were broadcasted on Canal 13. 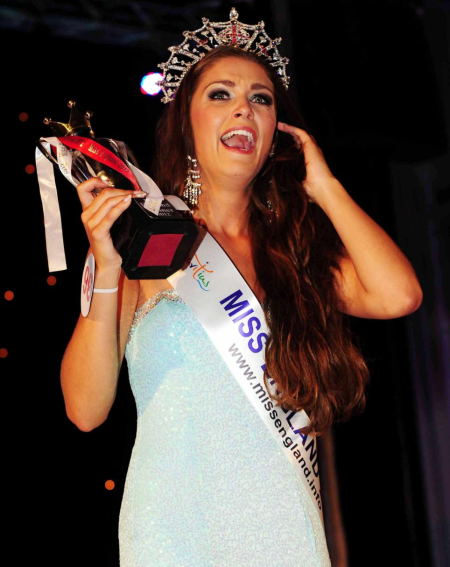 LEICESTER, England, United Kingdom - Charlotte Holmes (23, 1.75m, Plymouth) was crowned Miss England 2012 at the Athena Leicester in Leicester on June 26. She will represent England in Miss World 2012 in Ordos, Inner Mongolia, People's Republic of China on August 18. Anastasia Smith and Tamzin Cummings finished second and third, respectively. 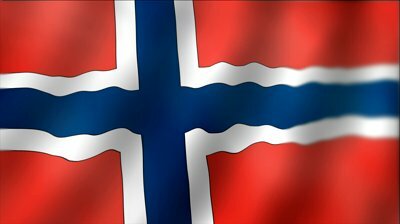 Morten Sommerfeldt is the new national director of Miss World in Norway and will be organizing the Miss World Norway pageant from now on. The search is on for Miss World Norway 2012 and the winner will go to Miss World 2012 in Ordos, Inner Mongolia, People's Republic of China. 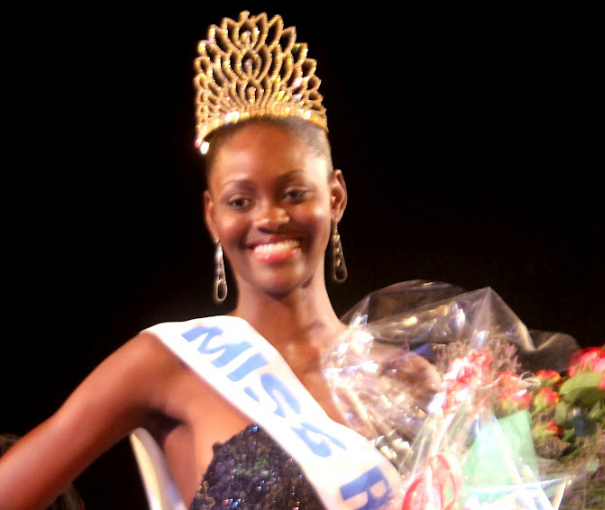 KINGSTON, Jamaica - Deanna Robins (21, 1.77m) was crowned Miss Jamaica World 2012 at the Jamaica Pegasus Hotel in Kingston on June 23. She will represent Jamaica in Miss World 2012 in Ordos, Inner Mongolia, People's Republic of China on August 18. 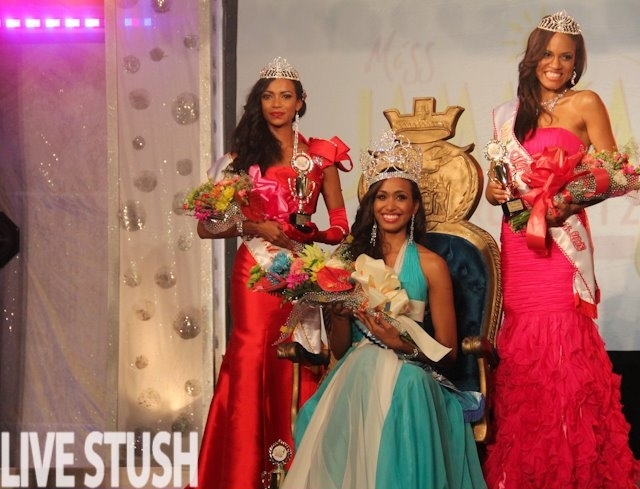 Trishauna Clarke was the first runner-up and Rashida Beckford was the second runner-up. Shona Bewley and Lauren Mackay completed the top five. 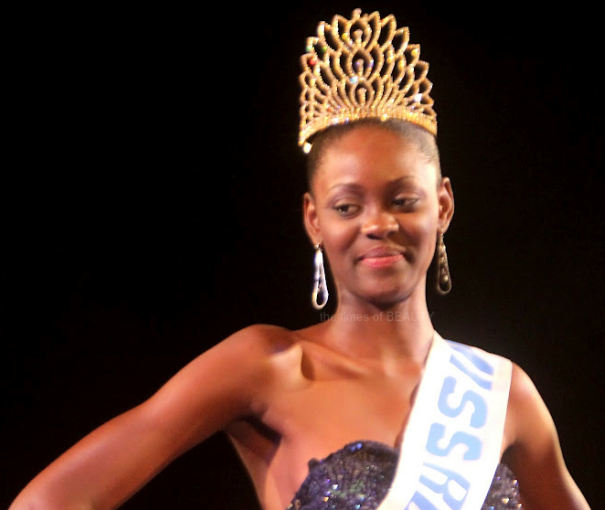 ST. THOMAS, United States Virgin Islands - Taiesa Annique Lashley (24, St. Thomas) was crowned as the new Miss U.S. Paradise 2012 and earned the Miss World U.S. Virgin Islands 2012 title. She will represent the United States Virgin Islands in Miss World 2012 in Ordos, Inner Mongolia, People's Republic of China on August 18. 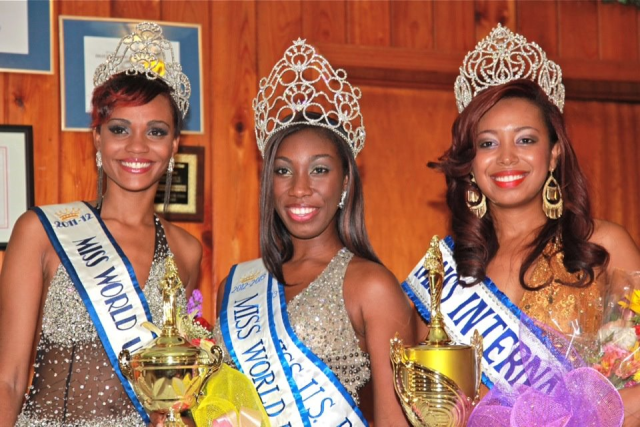 Vanessa Donastorg (23) won the Miss International U.S. Virgin Islands 2012 title and will be the first representative from the United States Virgin Islands in Miss International 2012 in Okinawa, Japan next October. Special thanks to Gadol Wilson! SARAJEVO, Bosnia and Herzegovina - Fikreta Husić (17, Brčko) was crowned Miss Bosne i Hercegovine 2012 at the International Center for Children and Youth Novo in Sarajevo. She will represent Bosnia and Herzegovina in Miss World 2012 in Ordos, Inner Mongolia, People's Republic of China on August 18. Anja Đudurović was the first runner-up and Jelena Lukić was the second runner-up. Anastasija Skibunova will represent Latvia in Miss World 2012 in Ordos, Inner Mongolia, People's Republic of China on August 18. The winner of Mis Latvija 2012, Eva Dombrovska, was not able to represent her country because of scheduling conflicts with her university studies. Dombrovska will represent Latvia in Miss World 2013 in Bali, Indonesia on September next year. 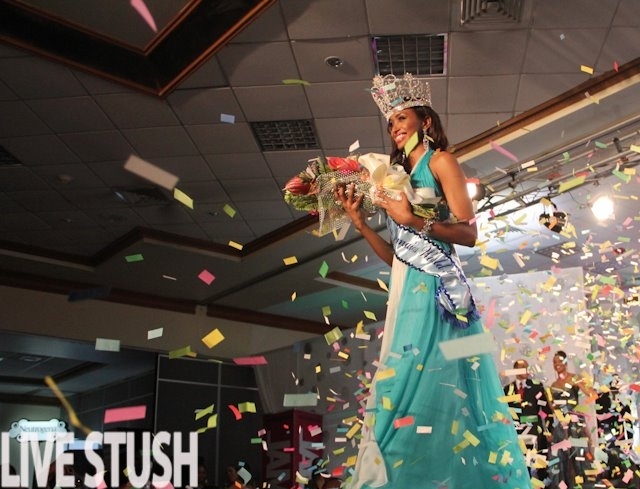 Athaliah Tizrah Samuel (24, 1.78m) was appointed to represent Trinidad and Tobago in Miss World 2012 in Ordos, Inner Mongolia, People's Republic of China on August 18. Special thanks to Daniel Seebaran! Damiete Charles-Granville (21) will represent Nigeria in Miss World 2012 in Ordos, Inner Mongolia, People's Republic of China on August 18. She replaces Isabelle Agbor Ayuk who was not allowed to compete because she did not met the age requirements of the international pageant. 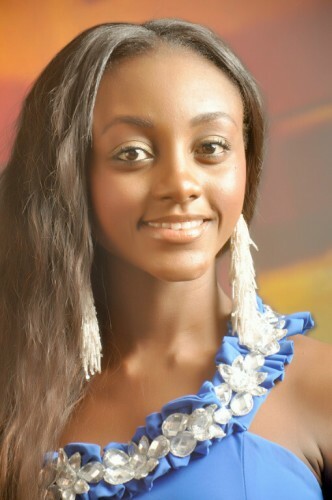 Charles-Granville was the first runner-up of the Most Beautiful Girl in Nigeria 2012 pageant. 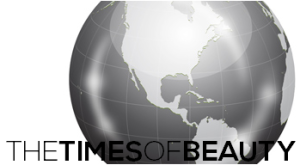 The Times of Beauty exclusively reported on November 8, 2011 the creation of the Miss Angola Mundo pageant as a separate contest organized by Comite Miss Angola. 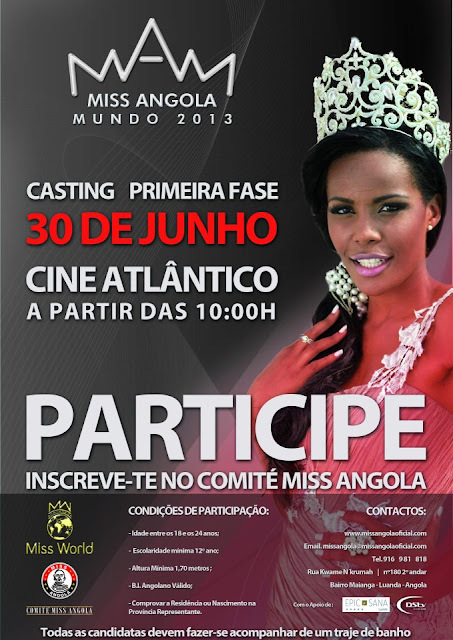 A series of castings began to select the 18 contestants that will represent the provinces of Angola. Miss Angola Mundo 2013 will take place on August 24 at the Cine Atlantico in Luanda and the winner will represent Angola in Miss World 2013 in Bali, Indonesia on September next year. Willian Rech (25, 1.80m, Novo Hamburgo) is the new Mister Brasil 2012. He will represent Brazil in the next edition of Mister World if the international pageant is held while he is the titleholder. 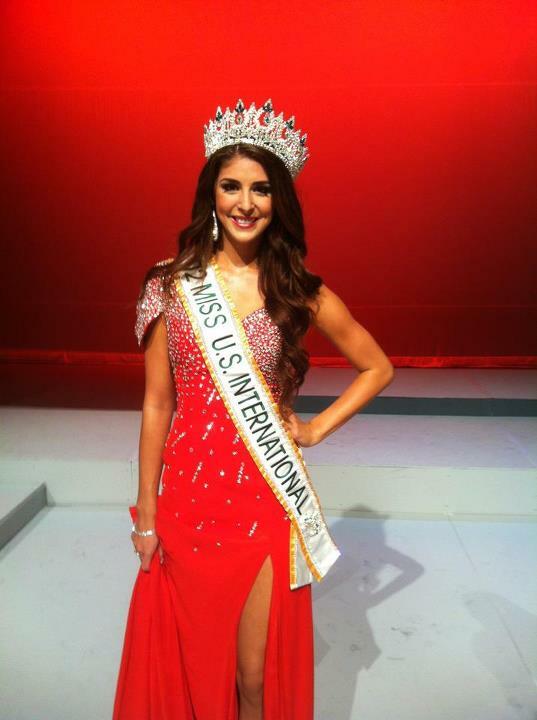 ORLANDO, Florida, United States - Amanda Renee Delgado (22; 1.76m; Los Angeles, California) was crowned Miss U.S. International 2012 at the Dr. Philips High School Auditorium in Orlando, Florida on June 15. She will represent the United States in Miss International 2012 in Okinawa, Japan on October 7. DAR ES SALAAM, Tanzania - Lisa Jensen (24) was crowned Miss World Tanzania 2012 in a special pageant held in Dar es Salaam with 10 contestants on June 16. 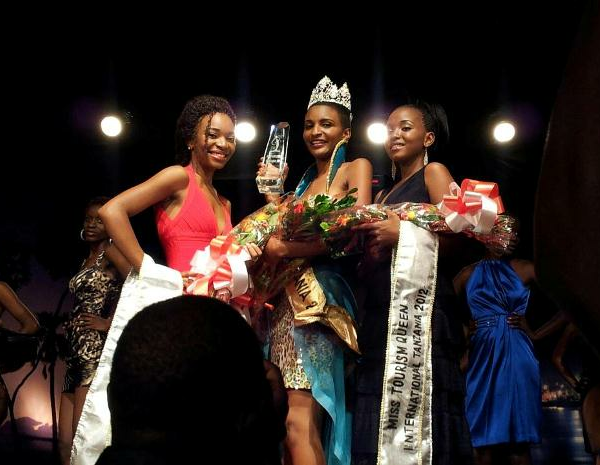 She will represent Tanzania in Miss World 2012 in Ordos, Inner Mongolia, People's Republic of China on August 18. 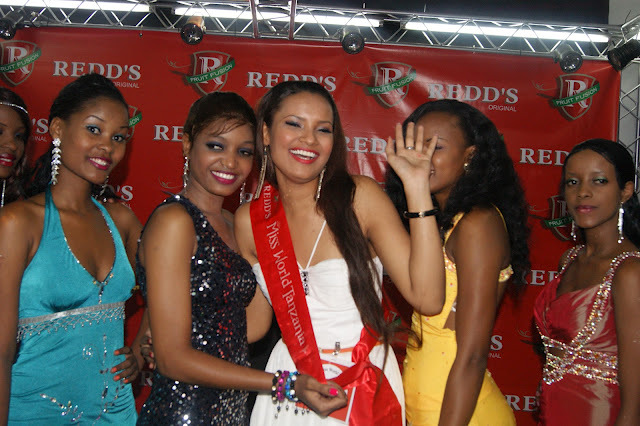 Miss Tanzania 2012/2013 will take place later this year and the winner will compete in Miss World 2013. GALLIPOLI, Italy - Jessica Bellinghieri (23, 1.76m, Messina) was crowned Miss Mondo Italia 2012 at the Area Blue Salento in Gallipoli on June 16. She will represent Italy in Miss World 2012 in Ordos, Inner Mongolia, People's Republic of China on August 18. Jessica Amà was the runner-up.